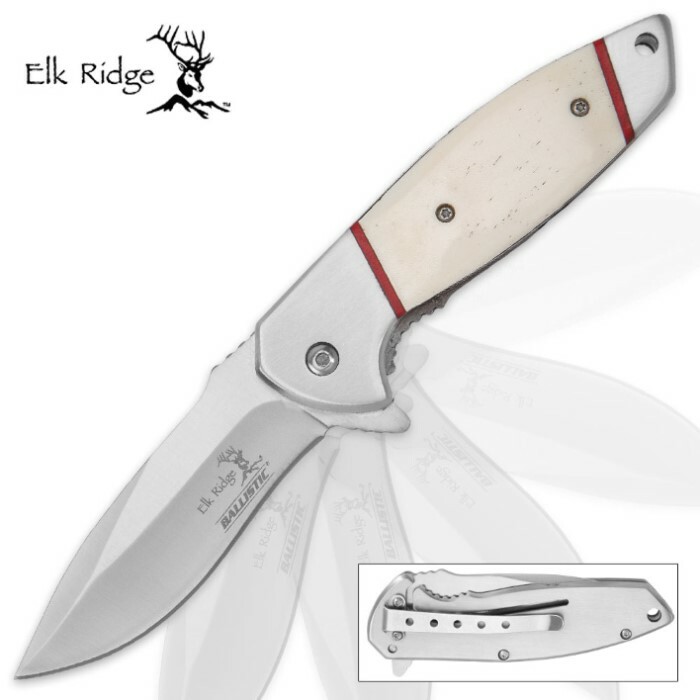 Elk Ridge White Bone Handle Pocket Knife | BUDK.com - Knives & Swords At The Lowest Prices! Elk Ridge pocket knives are for the true outdoorsman and Master Cutlery has made an art of choosing beautifully natural handles for this line. 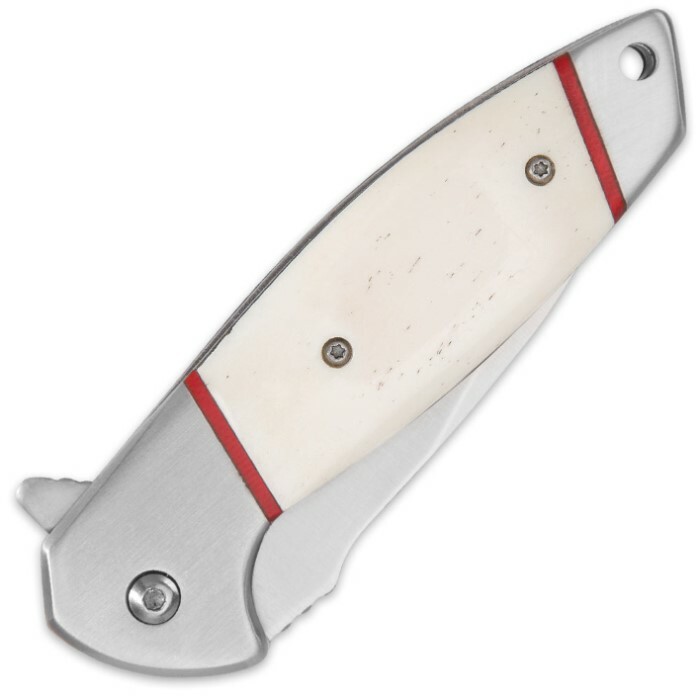 This great-looking, yet practical, pocket knife has a 3 3/10” stainless steel blade with a drop point. 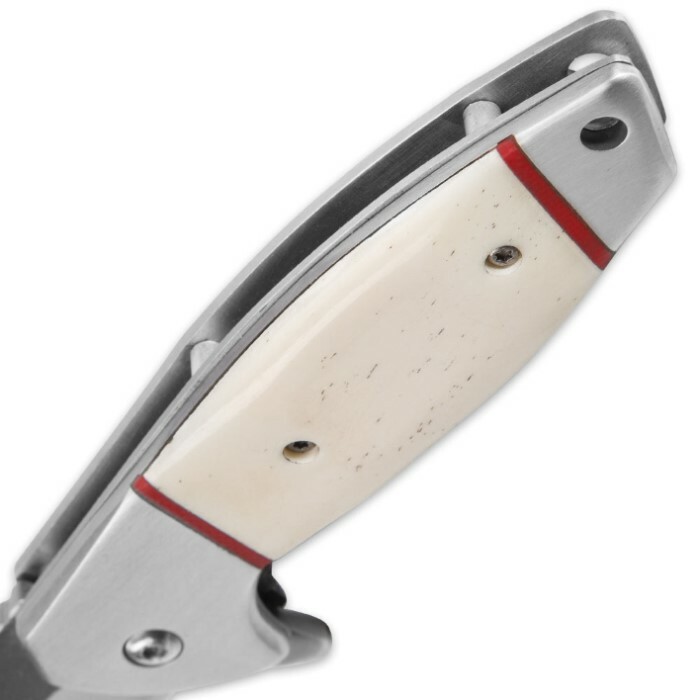 The attractive handle is of genuine white bone and the bolsters are satin stainless steel. The spring assisted opening gives you quick access to the blade. It also has a pocket clip for ease of carry and is 4 1/2” closed.